This dune field in Aonia Terra shows sand dunes with a variety of morphologies. These complex shapes often indicate that the dominating winds change direction, either over time or from one location to the next. 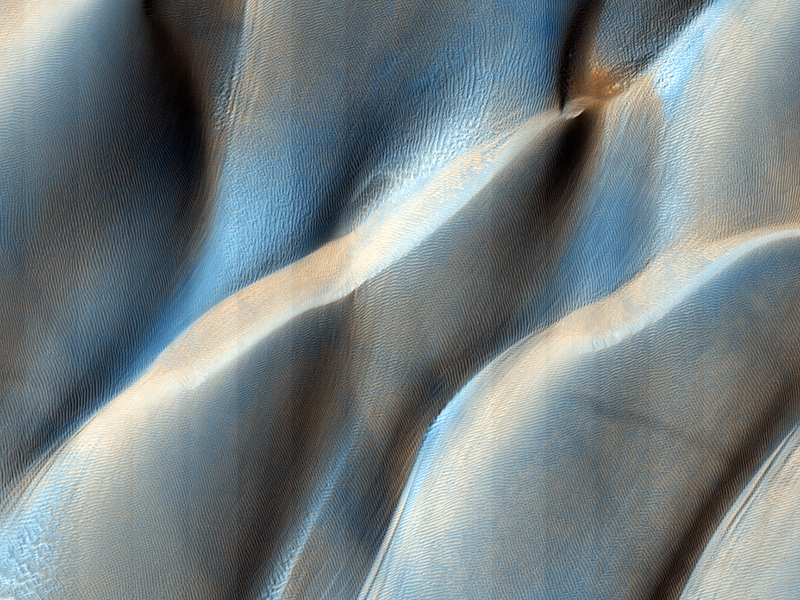 Many of the dune fields in this region of Mars are banked up against topographic obstacles such as crater rims. The location of the dunes within impact craters gives an indication of the average regional winds, while details such as slip-face orientations and superposed ripples are controlled by the present day local winds. 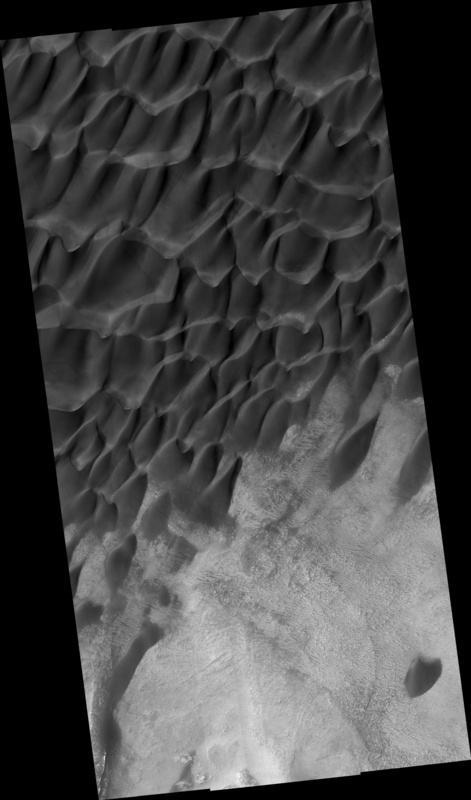 The outlying dunes in this image appear as simple arc-shaped barchans formed by southerly winds. As the dunes migrated northwards, they encountered other dunes crowded against a confining scarp. Many of the barchans climbed up onto the upwind (stoss) slope of the next row of dunes. 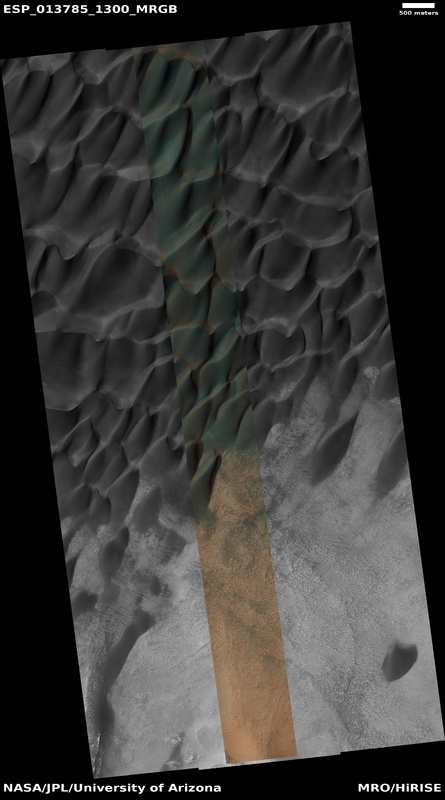 This migration is shown by the avalanches that have occurred on the downwind (slip) face of the dunes. The collision of the dunes altered the morphology of the barchans to star-shaped dunes with multiple arms that took on a linear appearance as the horns were modified. There is also the presence of faint dark tracks from dust devils picking up a very thin veneer of dust on the dunes. The faintness of the tracks could be an indication that the dunes have actively saltating sand grains that clean much of the settled dust from the dunes.